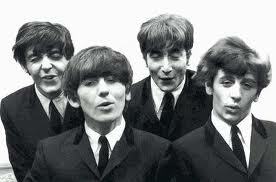 Though I am not a fan of digital music, any 'new' music by the Fab Four is news, so here ya go! ''On February 8, The Beatles' 'LOVE' album and 'All Together Now', the feature-length documentary about the making of The Beatles 'LOVE' by Cirque du Soleil, will make their digital release debuts," a statement on the band's website said. The Beatles entire back catalogue was made available for the first time last year on iTunes. 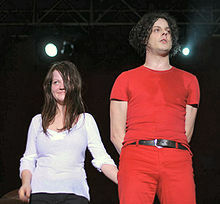 Jack and Meg White confirm the band has 'officially ended' The White Stripes announced yesterday that they have split up. A statement posted on their official website, Whitestripes.com, explained that the Detroit duo would make "no further new recordings or perform live". The statement read: "The reason is not due to artistic differences or lack of wanting to continue, nor any health issues as both Meg and Jack [White] are feeling fine and in good health." "It [the split] is for a myriad of reasons, but mostly to preserve what is beautiful and special about the band and have it stay that way." The band also left a personal message to their fans on the site. "The White Stripes do not belong to Meg and Jack anymore," they wrote. "The White Stripes belongs to you now and you can do with it whatever you want. The beauty of art and music is that it can last forever if people want it to." They also explained that music from the band, including unreleased material, would continue to be put out by Jack White's record label, Third Man Records. Epic Records and Legacy Recordings celebrate Pearl Jam‘s 20th anniversary with the release of newly restored and expanded editions of Vs. and Vitalogy. Vs. and Vitalogy will each be available in Definitive Legacy Editions, Deluxe Editions and together in a Limited Edition Collector’s Boxed Set on Tuesday, March 29th. Each album will also be released in new commemorative, vinyl editions on April 12th in time for Record Store Day 2011 (April 16th). - and the band’s cover of Victoria Williams’ “Crazy Mary” featuring Williams on backing vocals and guitar. - a previously unreleased demo version of “Nothingman,” taken from the original DAT (recorded at John and Stu’s in Seattle on October 14, 1993, featuring Richard Stuverud on drums). Vs. and Vitalogy will be available together in a limited edition collector’s boxed set that includes 59 unique Pearl Jam performances on four CDs, five LPs and one cassette in addition to a number of guest artist performances. The Limited Edition Boxed set is only available for sale at pearljam.com. • A glassine envelope containing a collection of Vs. and Vitalogy- era memorabilia including beautiful lithographs of each band member, postcards, posters and much more. 4. 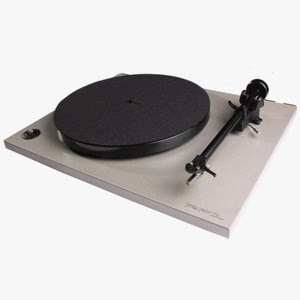 Record Store Day Vinyl Editions (LP) – Available April 12thVs. and Vitalogy will be available at independent record retailers in new commemorative, vinyl editions on April 12th in time for Record Store Day 2011 (April 16th). Royal Guardsmen Return With New Album, Beaglemania Live! 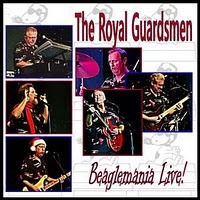 The Royal Guardsmen, who lit up the skies during the 60's with songs like Snoopy vs. the Red Baron and Snoopy's Christmas, have released a new album on Star Creek Records called Beaglemania LIVE! The effort includes all of the group's classic hits, including the two Snoopy titles, Return of the Red Baron and Baby Let's Wait, among its twenty songs and was recorded on November 7, 2010 at Haugh Performing Arts Center in Glendora, California. World-famous crate digger DJ Muro, a.k.a King of Diggin’, once said, “When I finally went to Jerry’s Records, after years of anticipation, I got a bit emotional. There were literally endless piles of records. I stayed there from open to closing.” For a man who has several apartments in Tokyo to maintain his record collection, the statement captures two features about Pittsburgh’s premier music destination: (1) It has a titanic inventory, and (2) even among serious vinyl collectors, a trip to this shop is a pilgrimage on its own. Jerry Weber, the bearded, sage-like figure, and namesake of Jerry's wields music chops dating back to the shop’s inception 35 years ago. He kicked off the now legendary Mecca when a friend offered him a second-floor space on top of a bar for $75-per-month. After three decades in the business, the store currently offers a million records, with an additional millie stored in the warehouse. 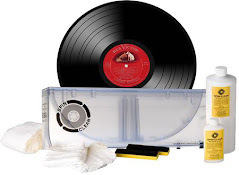 Close to 700,000 7-inches, and 1.3 million pressed albums—organized in alphabetical, and genre-based order—are offered for three to five dollars each. Coming in the form of the stylish, no-frills record company Jealous Butcher, Rob Jones has been dedicating himself to the music he loves for close to twenty years, straight out of Portland, Oregon. The label has put out some incredible records, each one painstakingly worked over by RJ himself, from the jacket to the audio itself. And what’s even better is he truly loves everything he puts out, which is what makes Jealous Butcher Records a musician’s record company. I’ll let Rob do all the talking now. It's possible to lead a cow upstairs...but not downstairs. Really, is this a problem? In 1958 The Royal Teens' biggest hit, "Short Shorts" entered the US record charts on its way to # 3. The song was originally an instrumental warm up number that the group added silly lyrics to. The tune was recorded in about twenty minutes of left over studio time and released after a record label executive took a liking to it. In 1968, The Beatles started work on their new single ‘Lady Madonna’ at Abbey Road studios in London. Recording three piano and drum takes with overdub bass, fuzz guitars, drums, and vocals. This was the last Beatles release on Capitol Records (US), or Parlophone (UK). All future releases were on Apple Records, the label The Beatles created. Elton John started a three-week run at #1 on the US singles chart in 1973 with 'Crocodile Rock'. Elton's first of five US #1 singles. In 2007, Daughtry were at #1 on the US album chart with their self-titled debut. Lead singer Chris Daughtry was the fourth-place finalist on the fifth season of American Idol. The album sold over a 1m copies after just five weeks of release, becoming the fastest selling debut rock album of all time. Birthday wishes to Dave Davies of the Kinks and Melanie, who were both born in 1947.